As a district level administrator and middle school principal, we wanted to jointly write this blog in an attempt to align theory with practice around SEL measurement. 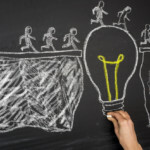 From our experiences in education, there is often a disconnect between the grandiose ideas and practices of district office staff and the day to day experience of building principals. In 2017, Minneapolis public schools became a member of the CASEL collaborating district initiative. Our goal as a district is for all seventy-two of our schools to begin integrating elements of social and emotional learning, including SEL measurement, into all facets of our students’ educational experience by 2021-2022. As a district we are taking a cohort-based approach to our work. 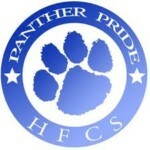 In the first year, cohort 1 comprises of ten school principals and their teacher leaders, who met several times as a group to learn, create, and struggle together in applying best practices of social and emotional learning in our academics, assessments, human capital strategy and family engagement. Fifteen more schools signed on in January as part of the second cohort. We have found that this cohort-based approach works best when we engage in this work as equals and truly listen to each other. Along the way, district office staff and school principals have often found that while we share the same values of improving the lives of our students, we have different perspectives toward this work that are both equally necessary for success. One of the ways in which our different perspectives have allowed us to improve our practice is through the creation of meaningful SEL assessment. 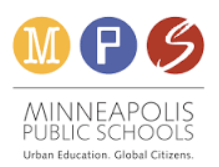 [Eric Moore]: In my role as Chief of Accountability, Research and Equity as well as Interim Chief of Academics, I guide work around academics, accountability, research and equity for Minneapolis public schools. As a district, we have declared the four priorities of literacy, MTSS, equity and social and emotional learning as the focus of our work over the next three years. I have multiple ways in which I must engage with schools, including overseeing the measurement of Social Emotional learning to assess progress. In line with our priorities, social and emotional learning measurement must be equity-focused and aligned to the academic agenda. This work is extremely exciting, sometimes daunting, and a huge responsibility. On occasion, I have the ability to visit classrooms for inspiration and to see amazing work done by our teachers. On one such occasion I had the opportunity to witness a morning meeting, a component of Responsive classroom in a class taught by an African American teacher in a 98% student of color and free and reduced lunch classroom. I found that the teacher was engaging, students asked high-level questions, and the classroom climate was one of respect, kindness, and joy. This teacher consistently produces growth in the top ten percent of the district and her discipline referrals are almost non-existent. But something more was happening here. The students in her classroom, in addition to performing at high levels of academic achievement, were genuinely becoming positive young people. I immediately wondered how I could document the impact of this work in order to scale it across the district! Social and emotional learning measurement matters. It is critical in helping to tell the story of teacher excellence. It also must meet the needs of the classroom teacher. As I visit classrooms such as this and reflect with principals and teachers about what I see, I am always reminded of the need to be practical in my request for schools to administer additional assessments to capture progress. The exciting work around SEL assessment drove my department to modify an end of year survey aligned to the CASEL framework based on the amazing work of the Research and Evaluation department in Washoe County School District. We also added questions on racial identity. While this assessment has yielded very interesting school and student level data to me as a researcher, I don’t believe it is qualitatively changing classroom practice. That is, while I believe it has informed policy and practice at the district level, the impact at the classroom level has been minimal. Whenever I present aggregate results to school leaders, the question inevitably raised by the principal is “how does this impact instruction?” While states and school districts nationally have received cues from ESSA to focus on the whole child rather than standardized test scores alone to identify school success, I am also frequently reminded that regardless of how success is defined, schools should be in the business of improving student lives – and time is the most valuable resource a school has. Succinctly, it matters how, what and why we teach. It also matters how, what, and why we measure. In a six hour and thirty-minute school day, what we measure must be accurate and meaningful. [Erin Rathke]: As my school’s principal, I see that my teachers want to know that the time they spend developing curriculum and engaging students around topics develops students in a way that is tangible and valuable. 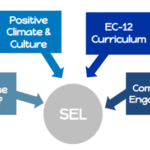 We believe SEL is critical in engaging students. Does my Instructional Leadership Team (ILT) support the assessment? Do they have an understanding of its purpose and believe that it is usable? Will the data improve instruction, programming, implementation and buy in? Can it measure both adults and students? Every competency that we ask students to develop we want adults to be equally committed to developing within themselves. Does it align with the area of integration that our team is focused on and does it make the work of SEL visible? Does it support more equitable outcomes for students? The need for new formative assessments that can drive our work on an ongoing basis throughout the year is critical. Our teams really value reviewing data periodically to help us celebrate “wins” together. We build in this time to validate our work together with students. On the other hand, the summative assessments inform our implementation strategies, our professional development needs for the future, and the validity of what was previously in place. [Eric Moore]: From my perspective at the district-level, I also believe that the process of interpreting data and assessments is a human experience. That is, our own individual experiences as racial, gendered, and able-bodied beings impact the extent to which we take an asset based or deficit approach when examining data. The equity lens we use, or fail to use, determines the strategies we use to drive learner skill development as well as our willingness to change our instructional practices to better support all students. I truly believe that much of the trepidation of using SEL assessment has to do with our individual fears of how the data will be used. Therefore, I believe that equity training must take place prior to data being given to teachers. To address the issue of data use raised by Principal Rathke and others, my department developed an SEL quick check assessment. The SEL quick check is a formative assessment aligned to components of the CASEL framework. Each component takes about 5-7 minutes to administer on a quarterly basis. We ask principals at selected schools to choose one or two components of the five (self awareness, social awareness, relationship building, responsible decision making, and self management) that are aligned to building social and emotional learning programming. Data from the quick check will then be uploaded into an individual teacher dashboard and provided to participating teachers in an aggregate format – individual student scores are not shown. Professional development on racial identity and data interpretation will be provided and individual student level data sharing is a possibility for the following year as teachers reinforce their equity lenses. The quick check will be given in selected schools in February and I am optimistic that this tool will better meet the needs of our school leaders and staff. I am also curious to examine our ability to align this tool to the end of the year survey we give on the CASEL competencies. My department is looking forward to sharing the results with our teachers and we are optimistic that this tool will better support teacher practice. [Erin Rathke]: As a principal, I truly believe that the SEL quick check is going to be a valuable tool for teachers because it is aligned to the work that we actually do. It is a formative assessment that will inform explicit SEL instruction. As my school staff continue down their racial identity journey together, the quick check data, along with the training on racial identity and data interpretation, will allow us another data point to recognize the impact of our focus on equity, skill development, and restorative practices. The quick check will also support conversations regarding individual teacher bias, classroom climate and SEL skill development. Our teachers’ ability to fine-tune the explicit teaching of SEL will increase students’ ability to respond to the stress and expectations of instruction, develop peer relationships, facilitate peer interactions and engage in self-reflection. We have always known that teaching the whole child is the best way to ensure students become healthy adults. I am glad that the district office is listening and that our framework on SEL, our practices and our assessments are beginning to align! SEL competencies are no longer the “soft skills” of yesterday—they are core competencies that support academic achievement for all students. I believe that this assessment process will continue to ensure SEL competencies are as valuable as core standards!